The most breathtaking scenic ride across the mountains and leisurely walks in the snow to enjoy amazing lookouts that Mt Buller has to offer. You don’t have to be a skier or boarder to explore the mountain! 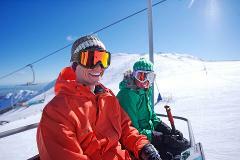 Simply jump on the Northside Express chairlift and enjoy a breathtaking ride across Mount Buller’s slopes, with your scenic chairlift ride ticket exclusive to guests of Melbourne's Best Tours. 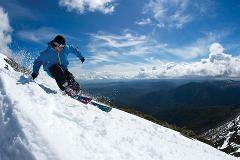 Everything you need for a fun-day of snow play in the mountains, there is alot to do on Mount Buller other than snow-sports. Enjoy breathtaking views during your ride on the Northside Express scenic chairlift, toboggan down the designated snow play areas of Mount Buller. If all fails, why not simply build a snowman, a snowball fight or two, while keeping warm and cosied up in your rented jacket and pants; all included as part of our Snow Play package. Perfect for first time Skier and Snowboarders, helping you get started with the basics and professional lessons. Skiing and snowboarding can be fun, challenging and rewarding, especially when you know your way around the slopes! The quickest way to increase your confidence and enjoyment on the slopes is to allow the ski and snowboard school professionals to show you some quick tips or expert opinions on improving your technique! Our Mount Buller Come & Try Program is especially designed for our clients who want to have their first taste of skiing and snowboarding. Perfect for experienced Skiers and Snowboarders. We give you a lift ticket and you're set to explore all lifts and runs on the mountain for a day!